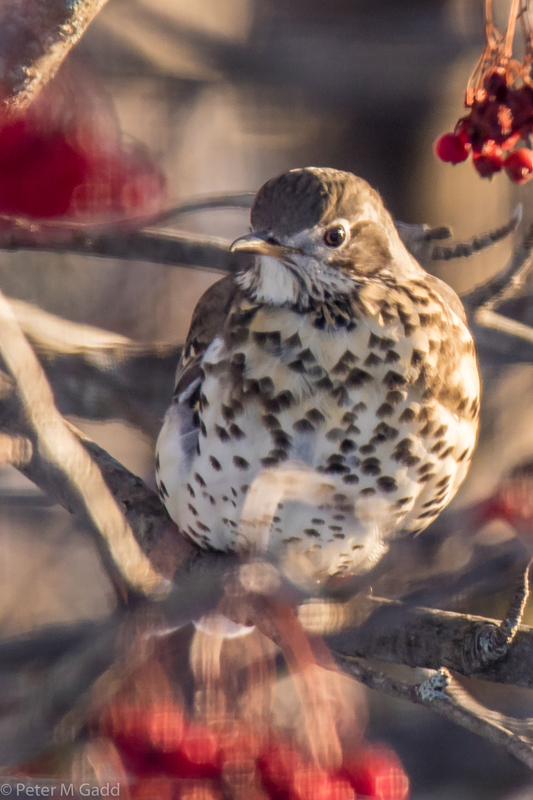 The Mistle Thrush has appeared for its 11th consecutive day at 473 Manny Dr., Miramichi. Its first appearance in the mountain ash today was for only 50 minutes. More photos and videos at https://flic.kr/s/aHsmbBzs1M.